EKAVI is planning to adopt Govt. Schools ONE each in all the TALUQS of SHIVMOGA District. 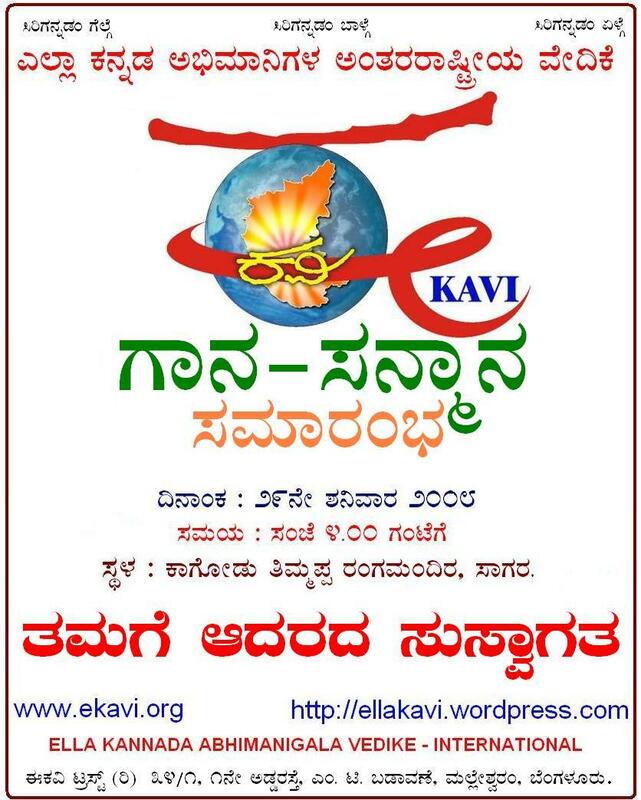 EKAVI requests KANNADIGAS from Shivamoga District, residing all over the world to come forward and sponsor SCHOLARSHIPS and SCHOOLS from their Villages, Hobali’s and Taluqs. EKAVI has established network in Shivamoga to do this work. A NEW INTERPRETATION: K.V. Akshara, Director of Ninasam, inaugurating the two-day `Geeta Gayana’ training programme on Shishunala Sharif in Sagar on Saturday. SAGAR (SHIMOGA DISTRICT): K.V. Akshara, Director of Ninasam, a cultural complex at Heggodu in Sagar taluk, said here on Saturday it was ironical that the saint composer Shishunala Sharif was viewed only as a representative of communal amity and harmony. There was no appreciation for his contribution to music and literature. 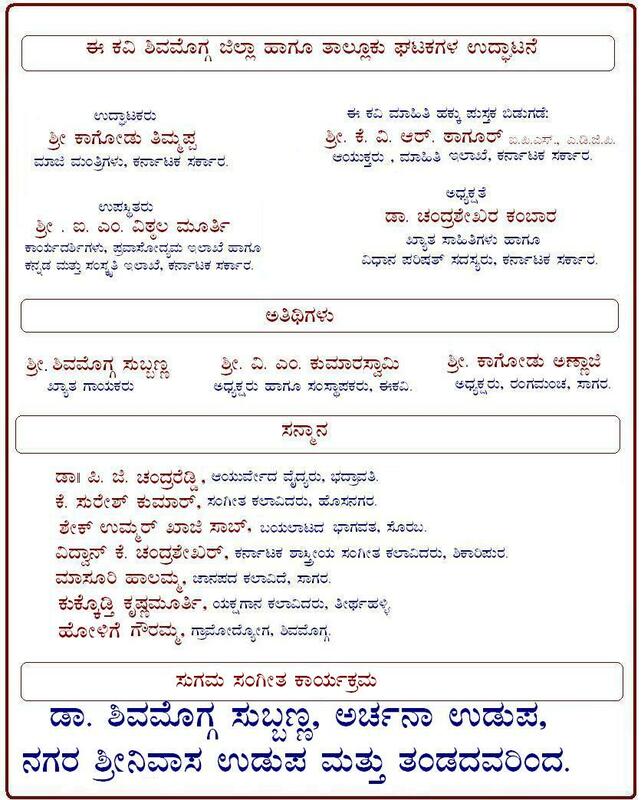 Mr. Akshara was inaugurating a two-day “Geeta Gayana” training programme on Shishunala Sharif organised jointly by Malenadu Janapara Kala Tanda and the Bhoomika Yuvati Mandali. He said that Shishunala Sharif did not view any religion from any sectarian angle and it was for this reason that he rose above the contradictions while propagating the communal integration. Expressing his concern that the sweetness of the natural music was losing its verve and value in the cacophony of the instruments, Mr. Akshara said Shishunala Sharif gave universal appeal to his poetic contribution playing on only the single string simple instrument. He recalled the significant contribution of the late P. Kalinga Rao and Garthikere Raghanna to music. They popularised light music with the least application of music instruments. Ahmed Shakafi, head of a local educational institution, regretted the “glorification of religions” at the cost of human values. Writer G.S. Bhat said although music and literature were two different cultural entities, there should be no competition between them and that they should be complimentary to each other. Director of the camp Gartikere Raghanna said that such camps would go a long way in promoting the interest of light music. Muralidhar Navada spoke. 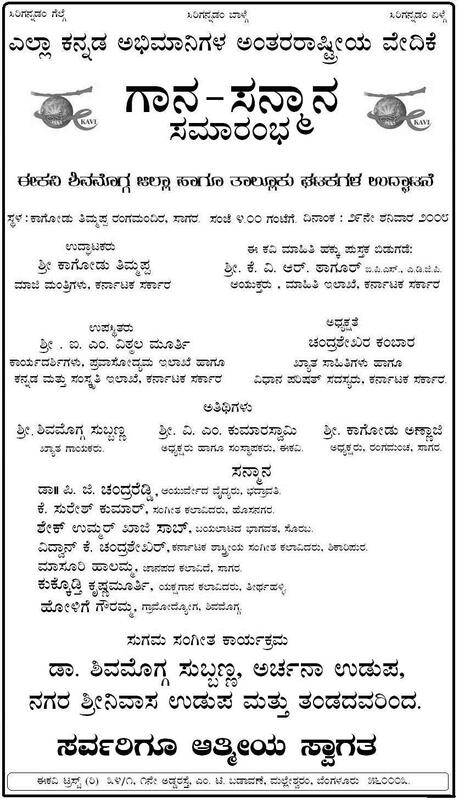 Malenadu Janapada Kala Tanda president Deepak Sagar presided over the function. Six compositions of Shishunala Sharif were selected for in-depth musical study at the camp, in which nearly 100 candidates are participating.